This is as exciting for me as the Arkansas sequence! It is obvious that the slab is on the move, but at a very slow pace, and it may stop at any time. So don't waste your panic juice! With the slab moving down, it was inevitable that the upper crust would see compression. This last earthquake is too small to get a focal plane solution, but it is shallow, and I imagine it would show compression. 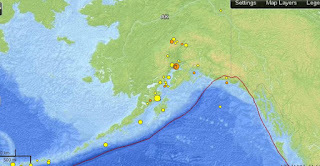 If things keep moving, we'll see more earthquakes here, and soon the Denali fault (terminal shear) will start singing. As I have said before, no real earthquake has followed such an overture (just watched the new Lawrence of Arabia bluray). 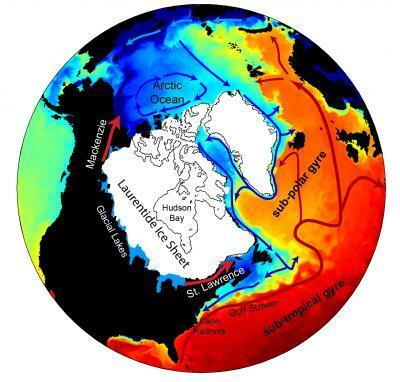 Update: Further discussion in the Geoscience community of g+. Well, the disk drive on my main machine was constantly flaking out with io errors. So I got myself a brand new solid state disk for Christmas. Man that's fast! But they are expensive, so I only got a 128 gb drive for the main Linux system. General storage is still on old mag disks. But, installing a new system ran right in to the current trend of abandoning the 386 (32 bits). My Xerox 6125N only has a rotten old driver written in 2008, which needs 32 bits. My new system has Debian Sid which has abandoned it. It took half a day to figure this all out. Finally 'aptitude install ia32-libs' and then run the device driver line. This was a Canadian Dec 3 order, I just caught the 10 second window! They missed Christmas, the donut heads, but this is for my son, and he can take it. :) They must be producing this thing in the thousands, instead of millions. This phone is a 'phablet' and has to live in a purse. If you have good young eyes you can do everything you can on a Nexus 7. It has been a great success for the daughter. Going unlocked means I am saving $50 a month over the old stupid Blackberry, and this pays for the phone in a year. And finally the Android updates are over the air! My poor teacher friend. He is a science and computer geek at heart, lost in a big private high school. Every time they come up with a 'Good Idea', they smash him down. First, they went totally MS, and he had to find a way to run Linux on sticks. Now, it's all ipads for every one, and he's been sent away from techie stuff, since they don't like to hear him crying. He loved all those MIT Java applets, that showed how gravity works, and other things important for posh students. However, we know we can't run Java on the new things. I looked it up for Android, and it has nothing to do with the Oracle lawsuit, it is just the conversion from keyboard-mouse, to touch. The old things have to be updated, and who is going to do it? I found out it's getting to the point where I can run Linux on my Nexus 7, and then I could run Java, but I can't see it working very well. And I know this is going to be more hopeless for the i-world. The concept of 'write once, run anywhere' is dead. Nobody is interested. The US educators are falling off the Fiscal Cliff. Will they have to write 2 new versions of the old Java applets. Not going to happen, and my friend screams in the dark once again. Anybody know better? 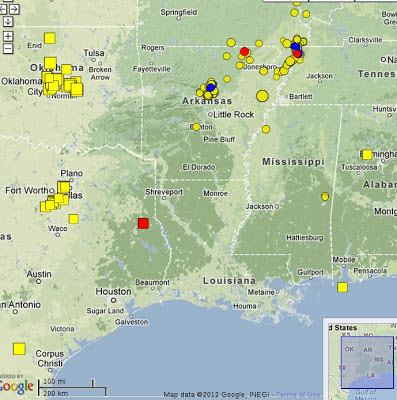 The world has given me some nice presents, in the form of minor earthquakes. It's pleasant when they are small, yet reveal some interesting fault mechanics. 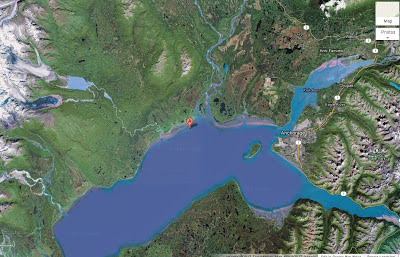 We've got to love Alaska. They just had 2 M4+'s. This is an active escalating zone, but it is quite likely that it might just get to some level, and then fade. Nearly all the nasty earthquakes of history have given no warning. 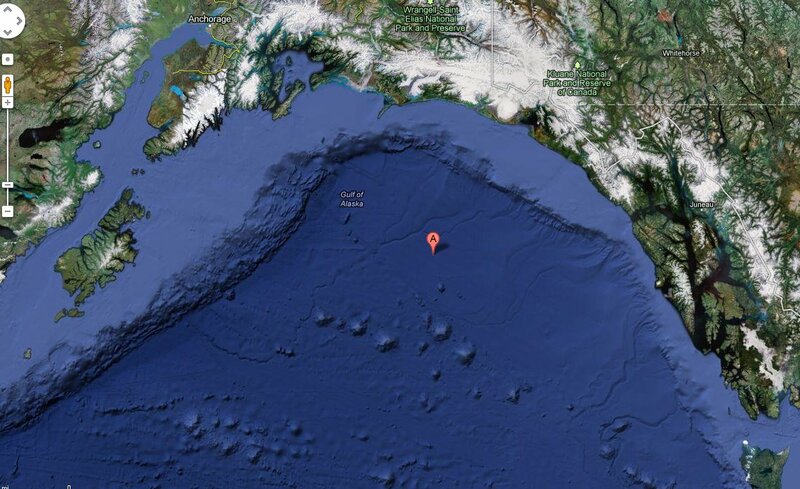 I love this zone because there is subduction, which meets strike-slip transform, and it is all under a continent. I don't know of any other place that is so interesting. There have been lots of earthquakes in this zone, but almost nothing has broken above M3. I'm not even sure about the mechanism here, but it is fascinating. Would be a fun place to visit! When the store opened up for 10 seconds on December 3, I was sure I hit the 1-2 weeks window, at least the 3-4 weeks that appeared while I was hitting the 'Proceed' button a thousand times. But there is nothing, and I think if they were really going to deliver Monday, my wallet would have been dinged by now. So Sad! No phone in the stocking this Christmas. Yes, Google and Grinch start with the same letter! I have looked into the pattern of our World's Christmas Lights, and declare there will no earthquakes for Christmas, just as there will be no snow for Toronto. Hold Everything! I didn't really say that. My predictions are as good as global warming projections. 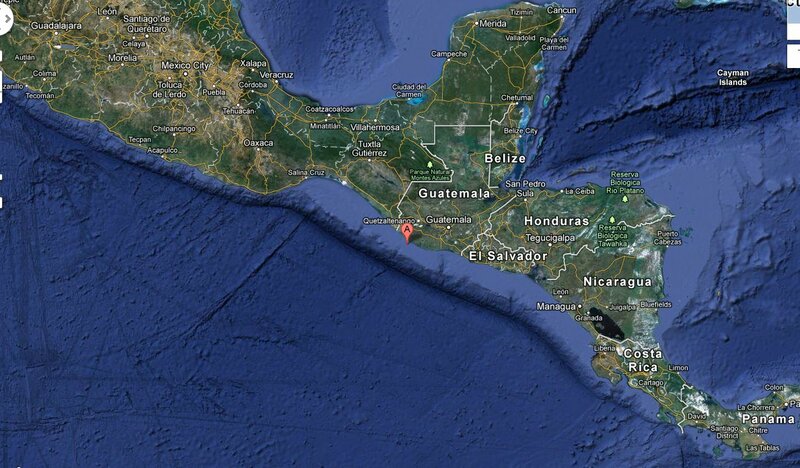 That's the wonderful thing about earthquakes, you have no clue whatsoever where the next big one will occur. If it happens in the middle of nowhere, it's a big yawn. Under a city, then it is news. So everybody should give their house an Earthquake Christmas Present. Accept the fact that there is a 1 in 500 chance per year of something really unexpected. Do one thing for the house that will reduce the consequences. Get that old chimney fixed or cut down. Do not have heavy things over the kid's bed. Have your camping things around where you can get them quickly. If you are by the beach this Christmas and notice all the water leaving, do not go and pick up seashells! So, silly me, we drove to Montreal this week, and came back today in the teeth of that winter storm. Toronto never gets any snow, so I had to go to Montreal to experience it. They had already got a foot of snow, and the sidewalks were horrible. Walking around gets you really ready! They really need those little sidewalk salter and sander machines. This morning it was wet snow, but coming down like a real Winter Wonderland. I have the new Hybrid, and I wasn't too worried about wet snow, but it was really heavy on the highway. You get these high slush rows that want to throw you off the road (one car and one truck!). My new Highlander Hybrid is the ideal road chariot for this, with the new super-stability control and the rear wheels that are electric and blast on in a flash. I could see and feel this when I passed and hit the slush walls. The stability light would be flashing, and I felt like I was on a boat! Is all of this any safer? Without all the fancies I'd be stuck in the slow lane, instead of electronic snow-boarding. If I had winter tires, I could go 30% faster! :) As it was, the standard tires are quite aggressive, and held well, and the winter tires might be better in a snowstorm at -7C, when I wouldn't be driving anyway, since the salt just rolls off the highway. Then you see a heck of a lot of cars in the ditch! 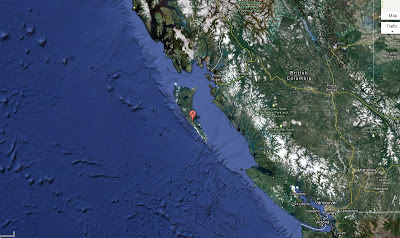 Although British Columbia may have the highest earthquake risk in Canada, Ontario’s earthquake in June 2010 proved that other parts of the country also have exposure. 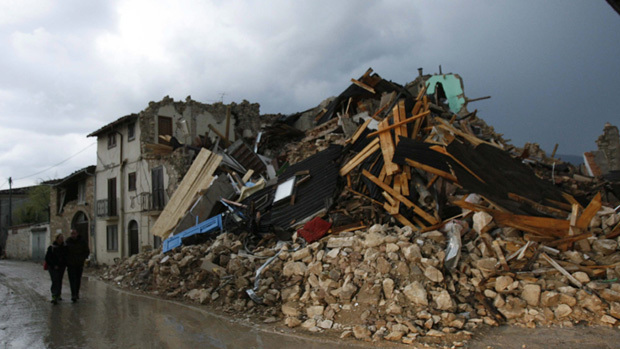 It continues to be a case of when, not if, for the country’s next major earthquake. I'm sure they're worried about massive death with the Gardner Expressway, and the destruction of Hamilton, or landslides in Ottawa. Get your insurance while you can! Just wanted to say that Amazon.ca screwed up my Christmas order. I don't think they are as well organized as the US, and they are only a front for rinky operations. My order got swallowed up, you couldn't complain until the last possible day of delivery, and when you do, they just say 'Have a nice day.'. Arg. NASA is changing the lighting in the big space box. They have finally realized the importance of the colour of lights during the day. As a northern sufferer of seasonal depressive changes, you have to be real careful. Get a blast of bright bluish light in the morning, but warm out the light by evening. I think that at Christmas a lot of people might be getting these 'full spectrum' lights. Do not use them in the evening! I'm currently slowly replacing the most used lights with LED 'warm white' lights. After 10 years, I have given up my Town and Country. It was still going strong and could last another 10 years, but all my kids have grown up and I was tired of it. The car was built during the 'German Period' and they put in Mercedes parts. I understand that no other model was any good. So I ordered a new car from Cars4u.com and I saved at least a few thousand off the horrendous difference for a hybrid. Don't buy this truck for gas savings! Buy it because you are an engineer, and it is the best engineered car on the planet (that I can afford!). All I can say is that it is a magnificent drive, with totally smooth power, and it corners amazingly, since the rear wheels are electric as well, and are used for boosts. Soon I'll be off to Ottawa and Montreal, and can test the winter ability of the 4 wheel drive and the zillion stability things. So, another shooting, each time using more powerful weapons with machine-gun speeds. I can only say that I am sorry, but, like earthquakes, you can expect much worse in the future. I am an expert in male depression, since I have it. :). It is totally curable with a few simple pills, but hardly anybody takes them. Hollywood makes it manly to 'fight' the depression with booze and vengeance. I don't know how many movies I've seen that screw up male depression; and, be assured, all of these shootings involve suicidal people who want something more than just blowing their head off. So, try and take your local depressive to the doctor, but it will be nearly impossible. We eagerly await a good blood test to positively identify it. I am thinking of doing that open genetic thing, just to see if anybody can figure out the switches that turn it on. So, basically, if depression hits a male, he will turn to thoughts of suicide, and start drinking a lot. The drinking doesn't help. I thought long and hard about suicide, but no easy way appealed to me. In Canada, we can't get guns easily, and everybody fences off high drops. The subway is yucky and you may survive. So, at the time, if I could go to the local vending machine and get a shotgun, then it would be over. Even better, if I could get a super-powerful assault rifle with a thousand rounds. I always had dreams of shooting those things! Failing all that, however, I did the more difficult thing and went to the doctor. Aren't we lucky we have free medical! Imagine in States, where it is cheaper to get the gun. No moralizing here, since nothing will change in the US. 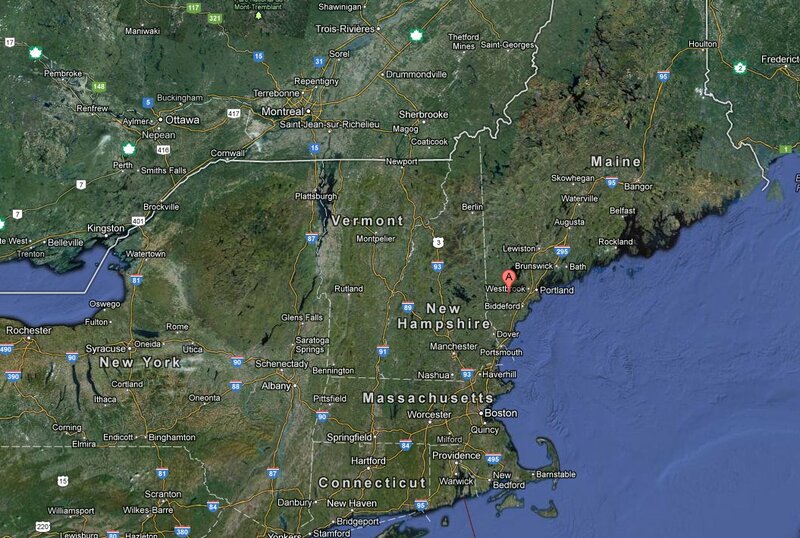 The bright side is that no terrorist suicide bomber would ever get noticed down there, and so they give up. 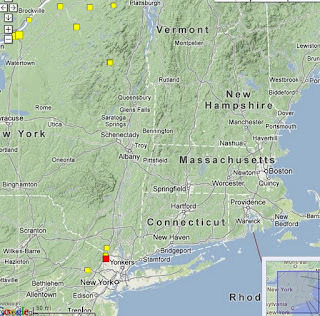 My nephew lives down in Connecticut, I hope everything is ok.
Maybe we can't call this a Callie earthquake, since it is so far offshore. I am interested in California again, since the oldest son got accepted for a Stanford MBA! May the Earthquake Gods hold their thumbs for 2 years. This earthquake may have not been felt anywhere, since it is right in the weak oceanic crust, and shows an extension focal mechanism. The Pacific Plate slowly drags everything upward, towards being buried in Alaska. For some reason, the San Andreas is incredibly weak, and concentrates all the strain, but the major transform fault could have been at this point, where the continent meets the oceanic crust, but it seems tightly glued. Nevertheless, it is a boundary of different stiffness, so the strains in the weaker oceanic crust must be high, and this earthquake is a result. 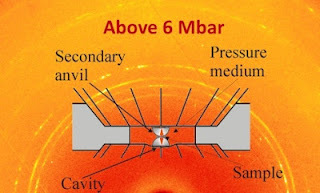 So, how close do you get to static failure before you can say it has zero capacity for seismic? I would say that now it has zero capacity, so the odds of massive death during rush hour is exactly 1 in 500 per year, which is the same chance as a large earthquake (M6.5 +) near Toronto. I just did this in g+ communities, but I'll do it here, since you can do a better layout. I can't see switching a blog to g+ yet, mainly because of the formatting. 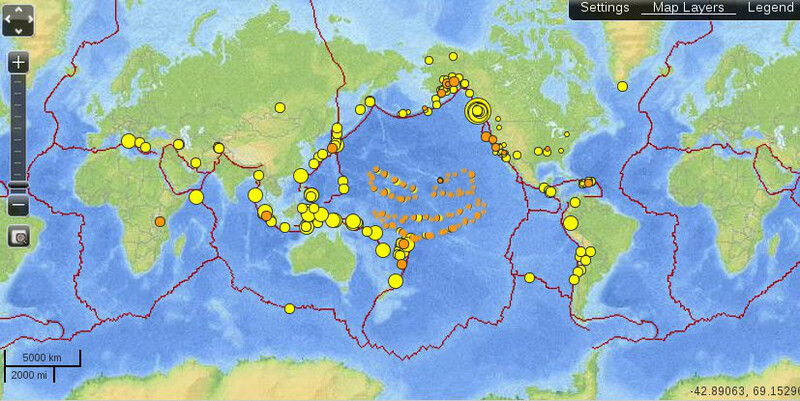 So, we have the fault-plane solution of the big earthquake. These are lower-hemisphere projections, which means the lower slab hammered down, and all those seismic stations in the white section got a positive compressive pulse. Total surprise! 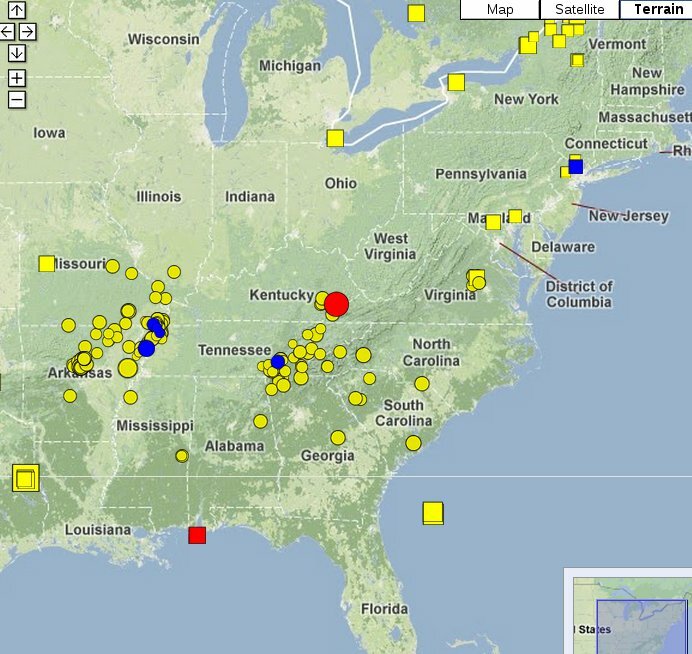 Same fault plane but all the stations got the opposite pulse. Shows it is a true aftershock of the M9, perhaps with a bit of snap-back of the upper hanging wall. 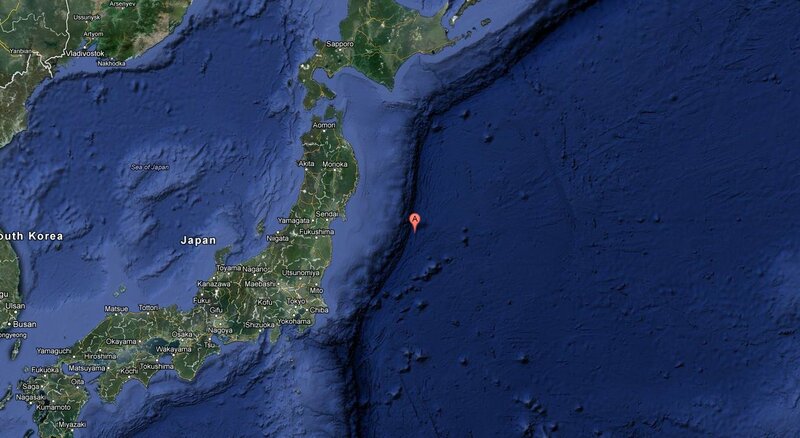 I only looked at this because the M7.3 was on the cusp of the curve that starts the next segment to Tokyo. 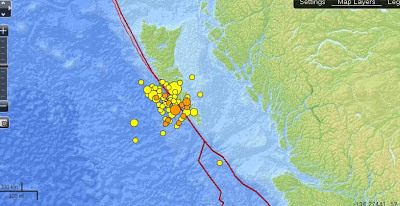 Sometimes these earthquakes are more bizarre because of mixed stresses. The recent M8 at Sumatra was one such. Anyway, the upshot is that I can't make dark inferences about the next segment, and I doubt that any stresses carry through the oceanic crust, so we can't even say that the Tokyo segment is closer to failure. Studies have shown that these segments are very uncoupled. 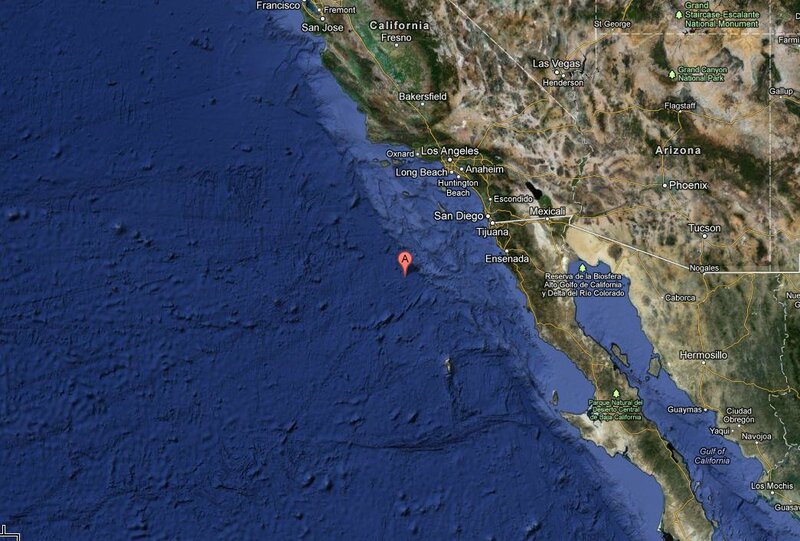 I'm calling every earthquake in this area injection, unless somebody proves otherwise. This is famous East Texas where anybody can get a jury verdict on anything. 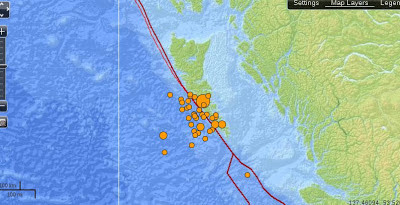 :) We can wait for more earthquakes, or this is just a one-shot if they stop injecting. This is right at the southern end of the big rupture. These smooth trenches have to maintain themselves by a big M9 every few hundred years, otherwise they would just get filled in. Only an M9 has enough fault displacement to 'clean' things up. 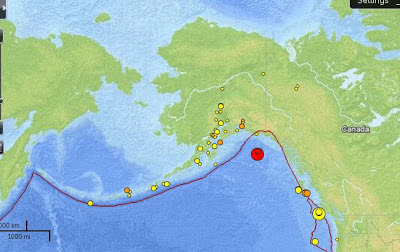 This M7.3 is now at the cusp of a sharp bend, which stopped the last rupture. The next segment goes to Tokyo, and is probably under some stress because of the M9. I like to read old books and I have a Calibre library. The best books have been converted to epub, and in general, this is the best to read on my Nexus 7. I use Aldiko Premium to read. But once in a while, you come across those horrible MS 'closed quotes'. Instead of a nice double quote that's on your keyboard, they have to use the fancy typeset quotes. This buggers up the reader to no end, and you see a box with an x in it. So, use Calibre to convert the epub to text (txt). Then use gedit, highlight the first funny box, and paste that into your replace, and replace with " (double quotes). Do the same for the closing quote. Save and bring back into Calibre (delete the original). Convert to epub, and it is beautiful! You can do the same for your hoary old txt books, since it is such a nice conversion, and easy to read on the n7. I find I can read with the lcd screen quite well. I think the old problems were simply a matter of resolution. You can brighten or dim the screen easily. This is now my only reader. Buy one! 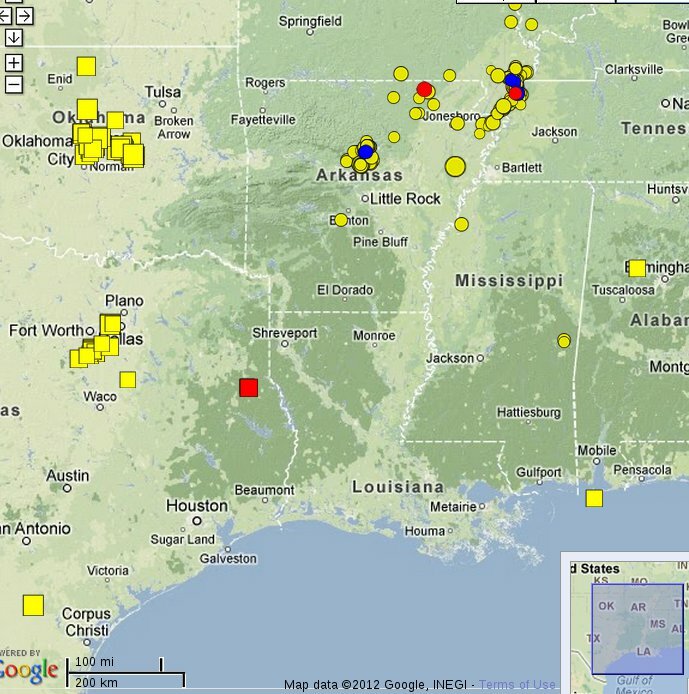 This cluster is the last of the regular injection earthquakes in the US. As we can see, they get bigger and bigger. All other such places have shut down, with more scientific evidence. They finally got around to calling the big OK M5.6 earthquake as injection. Bully for them! 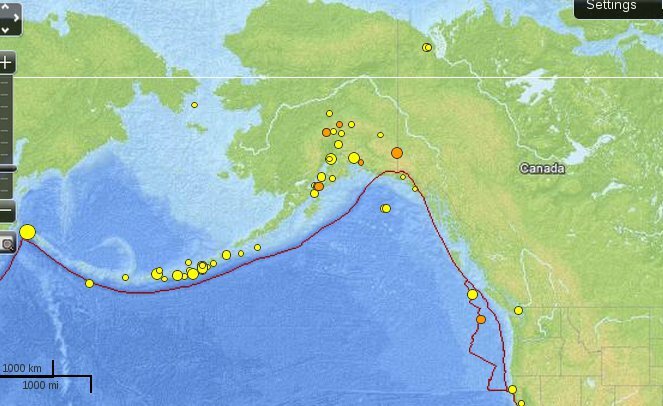 We've had quite the weird cluster in Alaska, mainly veering away from the subduction trench and going right under Anchorage. 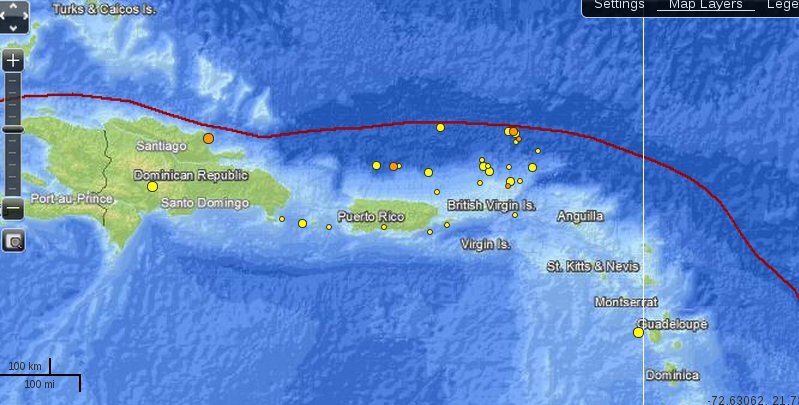 Unlike my favourite harmless cluster in the Virgin Islands, this one is escalating, with the fault plane solution showing it is right on the slab, and loosening things up. Wish I had the pattern before the big one in '64. 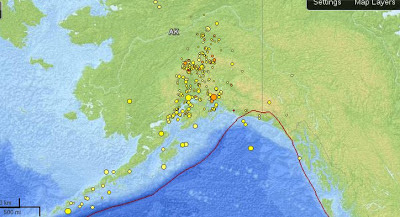 As we see here, Anchorage is not happily situated with regard to earthquakes. You are either on dirt, or on an eroding mountain. They will be lucky to get out of this with an M7 or 8. Here's where the rubber hits the road with regard to soft soil. For 40 years, the US engineers have said that soft soil is wunderbar for earthquakes because the peak acceleration goes down. This they attribute to 'soil damping'. Going with this flow, the city is golden! 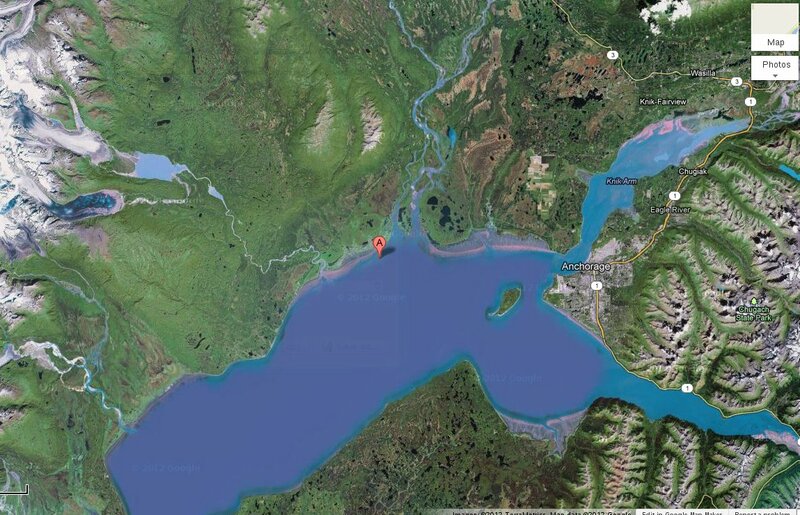 I really hate for Anchorage to be the proof of the soil pudding, but somebody has to be, Virginia wasn't strong enough. Gus! Lucy is going to hold the ball again, in 30 minutes! Get ready to kick! Update: The above message was highly coded with MS-grade encryption. I got a message that the Canadian store would open for N4 orders exactly 4 minutes ago. Update2: I just ordered 1 16 gb n4, delivery in 2 weeks, cart crashed. Update3: So neat! As my cart stagnates, the delivery time goes up! Update4: 16 gb model ordered, who knows when? Summary: I had signed up for the 'Notify Me' a long time ago. After much bitching on my blog, they were nice enough to actually notify me that it was going for sale at 3pm eastern. Of course, I believe this was all for me! I used the Chrome page alert extension, and had a nice chime ready. At 3:03, the chime sounded, the fish was on the hook! With fumbling fingers I refreshed the page, and found only the 16 model and a limit of 1! As I was fumbling it said 1-2 weeks. I got to the cart, and it said it was stuck due to high volume. As I watched, the delivery time switched to 3-4 weeks. I kept hitting that damn Proceed button, and finally got through. Now, it is dead. Poor you! Nexus 4 in my hands! My son's girlfriend stumbled in to the only 2 minutes that the Canadian store was open, and snagged the N4. It's neato! Apparently the LTE only works in downtown Toronto. This is a fun thing for Christmas. What do you do with all those digital pictures? I've got mine backed up on a lot of disks, and they never see the light of day. 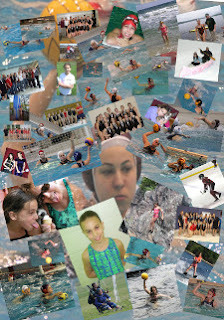 So, with the daughter finally ending her water polo career, I was going to make a big poster with her history of sports. I used an old program called Fotowall, which is on the standard distribution, but hasn't been touched for a year. It works well, and will throw your pictures on the mat, which you choose. The nice thing is that it is totally compatible with Inkscape, so you make an svg, and finish it on Inkscape. Then I export it as a high-res png which I then process with Gimp. That's just to do a final cropping trim, since Inkscape leaves ragged edges. I'm going to use something like 18 mpixs for the final jpg, which I will take somewhere. Posterjack is good, but I'll probably use the local Costco. Anyway, these clusters show that things can go on a long time, and mean absolutely nothing. Of course, tomorrow, when there is a big earthquake there, I didn't say this! Just open this statement and forget the rest: There's going to be a big earthquake. 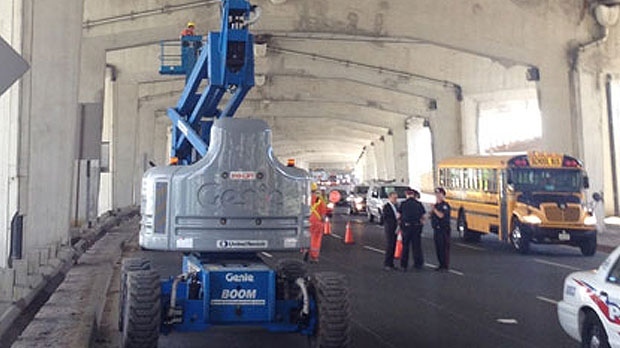 So, they got this big thing that they broke too early, and now they have to fix it. There is no option, but we'll have quite a show! Things are heating up at the old Bruce fishing hole. The Feds don't like their simplistic flow models. Although they attack for not considering the Cambrian, I'm still hoping somebody comes forward about the Precambrian. Still nobody mentions grout or the pump water. Standard & Poors has changed the credit outlook for Ontario Power Generation to "negative," citing in part "the negative outlook on the utility's shareholder, the province of Ontario." The Darlington rebuild comes early because they drove that plant into the ground. All the original designers are rolling in their lawn chairs. You can see that the slop in possible costs easily encompasses the few billion in overrun for the Niagara Tunnel, which is probably already hidden in the Darlington capital draw. Anyway, for Christmas, I wish them the best of luck. But there is no joy in Mudville — mighty Google has struck out. I had great fun with the kids camera equipment. Here's the full list of stuff. This is one fantastic camera but the video has proven to be a pain, and I have looked forever to find a way to deal with it. First, the default is 1080p at 30 f/s. Do not use this! 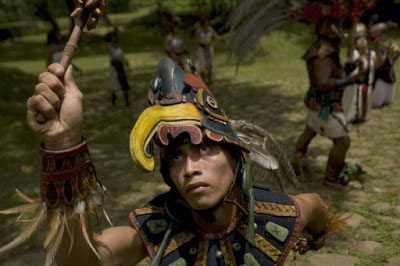 It looks sad when converted, since movies can get away with this frame rate, but not videos. Go down a notch to 720p at 60 f/s. The camera uses a super-compressed x264 thing that is difficult to play on anything low-powered. I followed the instructions here, and converted to avi. Then I use avidemux for trimming and still extraction. It is good to have 6 processors humming away to convert these things! Update: the bit rate from the camera is a ridiculous 50,000k! You can't play it on your average set-top. Go to 5-10,000 k.
If there were any earthquakes this weekend, I didn't notice, for I was at the OUA finals for water polo. This is my very last year because the daughter graduates - Yeah! For the occasion, I borrowed my kids' fancy camera equipment - a Canon 2Ti and a monster telephoto lens. I have oodles of great pictures and videos, which I will be releasing. Here is the team photo with medals. Just an M2.1. I really think it was the crowd knocking down the doors for Black Friday. Hope nobody was in the way! Yeah for fracking! Fracking never did anything to anybody, but it leaves millions of gallons of rock water (much like pumping out the Bruce Pit!). This stuff can't be dumped down the local creek without killing everything. So they always have the bright idea of injecting it deep into the earth, out of sight, out of mind. Here, they could destroy Toronto if they injected into the Hamilton fault (everybody hates Toronto, especially if they win the Grey Cup!). Like I said before, it seems that as soon as they get an earthquake, they are closing the injection site. Not like the good old days where they would argue about it for months and keep injecting. 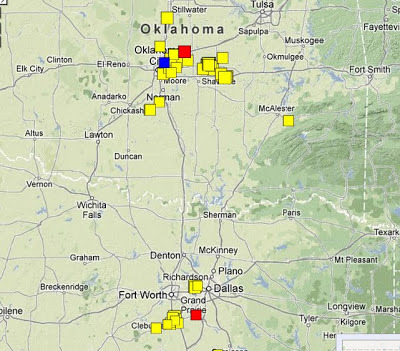 But they keep injecting in places where they aren't getting earthquakes right away, and that will creep up on you. 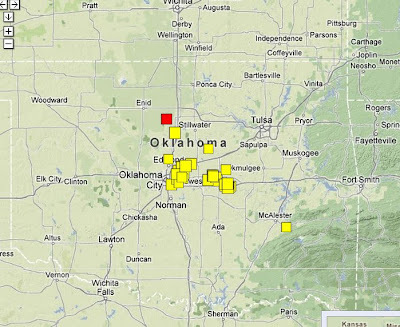 Oklahoma M2.8 earthquake - follow the highway! 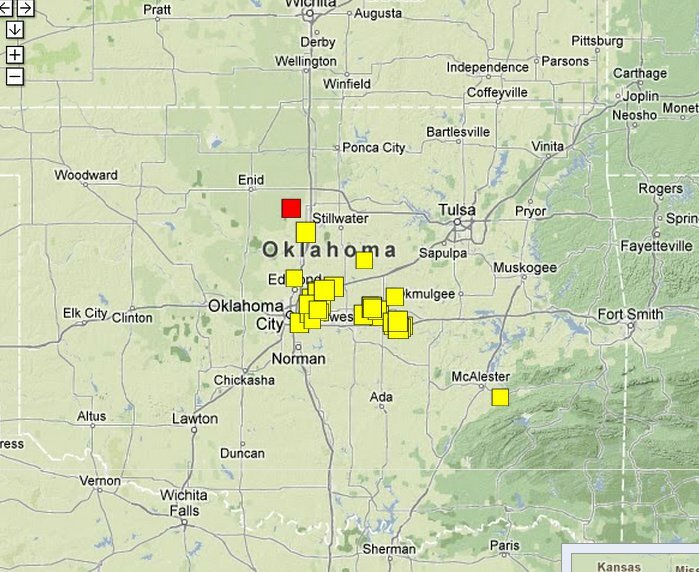 I am impressed they are getting these earthquakes up the road. Must be a heck of a lot of injection, since they are almost up into the footwall. 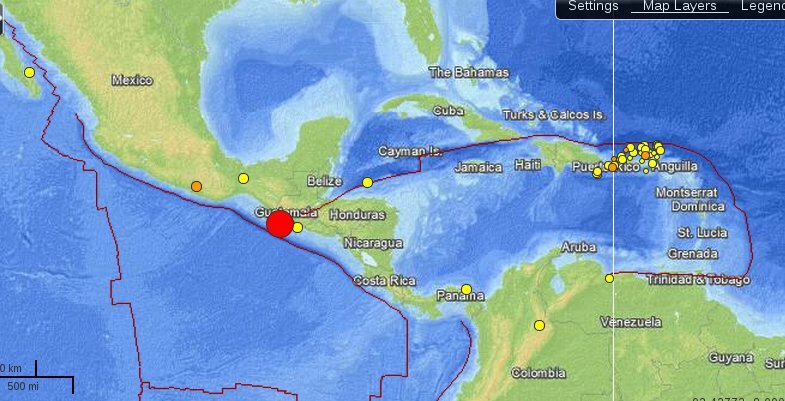 These earthquakes are quite shallow, which I believe, even through the uncertainties must be huge, what with the pitiful instrumentation. For sure I can't see anything big coming out of this, since it is outside the main mechanism, but we all live for surprises?? 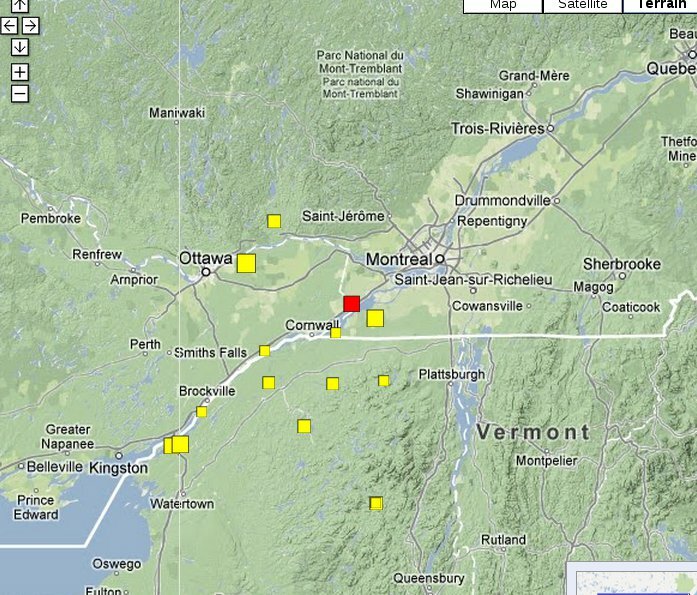 Update: Another earthquake just beside it. Definitely injection. In the past year, I've noted a trend where they probably sink a deep hole into the Precambrian and instantly get earthquakes. Then they shut down because they don't want the bad publicity. But they continue to inject huge volumes into the Cambrian sandstone right beside it. One day these chickens will come home to roost. This is an 'every day' earthquake for this part of town. However, I was just noting this morning that the whole Pacific Rim is aflame with dots this season, and there was this big gap that wasn't joining the party. Now the gap is filled, and the circle is complete. This time of year, I've noted that some pundits are wondering whether we've had a busier year than most, earthquake-wise. This is usually a useless question, but it is always bashed around. Just like warming cycles, nothing stays fixed to the average, so some years will always be worse than others. But how do you measure it? Total seismic energy? Number of events over M5? People killed? You can't, so the question leaves the scientific sphere and enters philosophy (and maybe religion). Update: Demoted to an M6.4! No Nexus 4 For You! Google is going further down the Soup Nazi route by now telling the people that got their their orders through, that they aren't getting them. I think it's all a Big Cruel Joke. They only had a dozen of these things lying around, and they wanted to see all the puppy dogs jumping at the hanging meat. This is a nice report on the extra questions raised. Lots of good geology, but no intelligent questions. As I expect, they will go to the sinking of the shaft by blasting, and that should be fun. One thing you learn in Linux is that no matter how stupid you feel, there are a lot of kindred souls out there. At one time, Google Chrome had a separate update repository. I would regularly get updates. At some point, however, it changed to the main repositories. I didn't get the memo! So today I was wondering why my version was stuck at 15, when everybody was talking about 23 or 25 (Flash sandbox). I reinstalled it from their web site, and wow, it was at 23! Then I used Synaptic, and it was there! I use Debian. Here I am, up at 6 am, and there is no Nexus 4. :( I just read that the earlier world sold out within seconds. What's to stop them shopping here? Would the Canadian store have a shipping restriction? Boo hoo. Update: Canada hasn't even opened! Of course, it's just 2 guys in a garage, drinking beer. 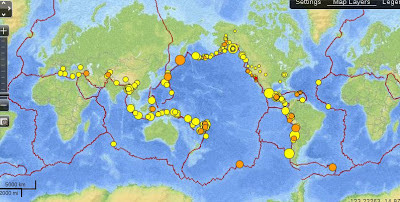 The headlines shall blare: "It's a Google-Quake! 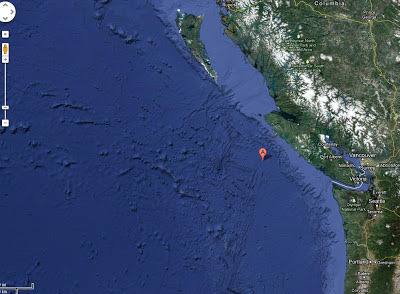 Brittle House Collapsed to Rubble"
This is a tiny earthquake for the region, but it is deep in the ocean crust, so I find it interesting. Must be some high stresses there! The whole Alaska area has been lit up like a Christmas tree, so I watch it with interest. 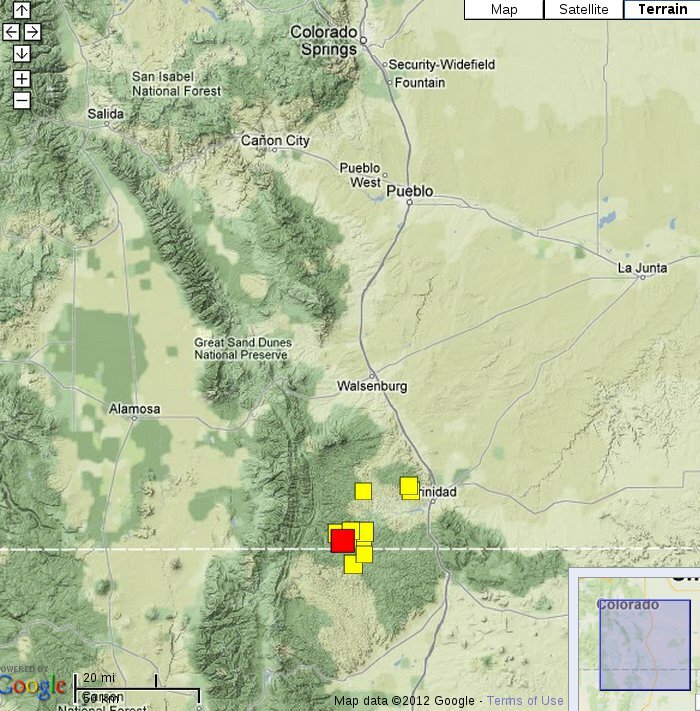 I once did a big study of the 64 quake. 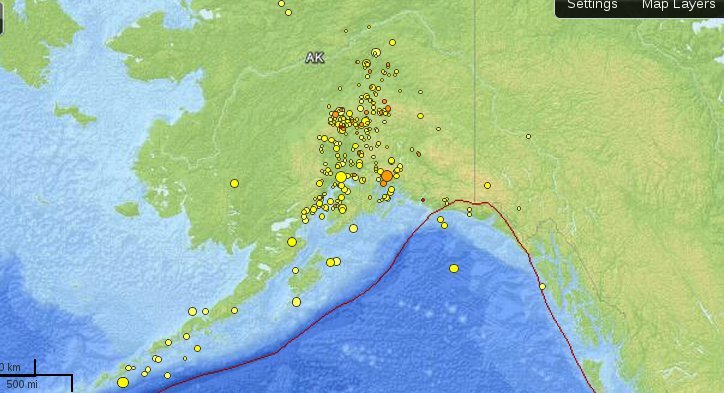 It was all soft soil damage, so I doubt Anchorage will do well the next time. Decrepit old buildings on rock didn't have their toilets cracked. If we had instruments we would have found a PGV of under 10 cm/s on rock, and 1-200 cm/s on soil. I wonder if we even have the instruments now? I like using the old name. I think the old generals changed it just to be miserable. Anyway, I just like the picture here, with India pushing away, and the borders full of earthquakes. 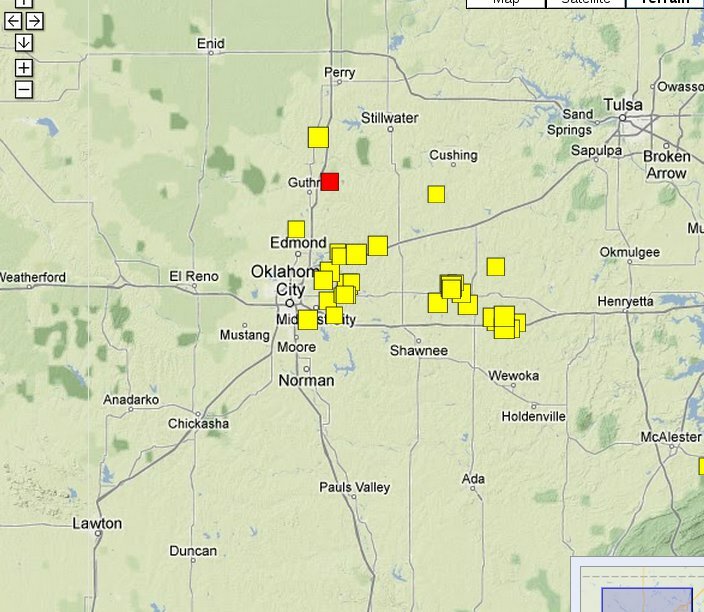 Pretty standard earthquake for this area. But however one views it, Frohlich said, industry and government officials need to take the issue of man-made earthquakes seriously as drilling spreads across the country to more densely populated areas. They are now up to the position that high-volume injection into a fault causes the earthquakes. They don't mention that the only place for earthquakes is the Precambrian, for then it would follow it is a Precambrian fault, and they have ignored the basement for years. The injectors then state they can avoid these areas because of seismic imaging. Are they imaging the basement? 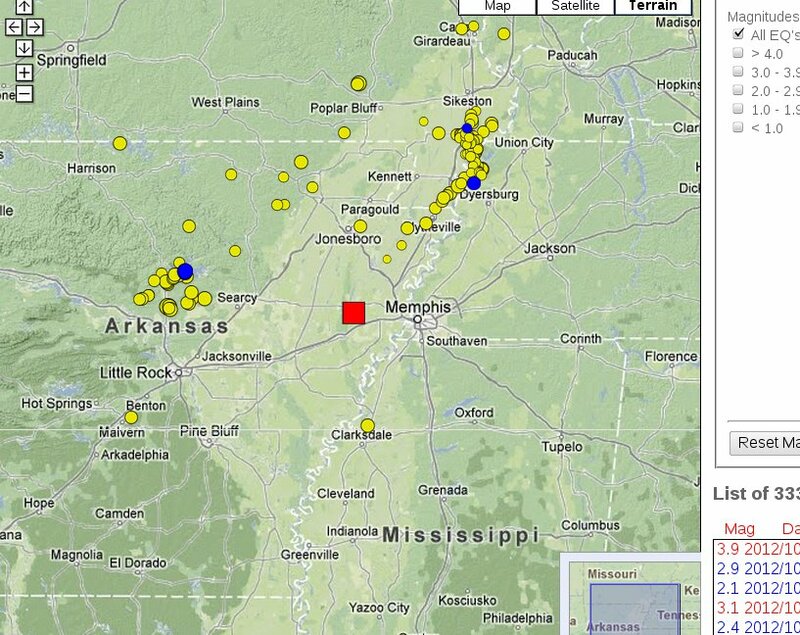 I am pushing that the latest Kentucky quakes are a result of deep injection. Either they are high-volume injecting directly into the mega-thrust, or their massive injection into the Cambrian is finally leaking. 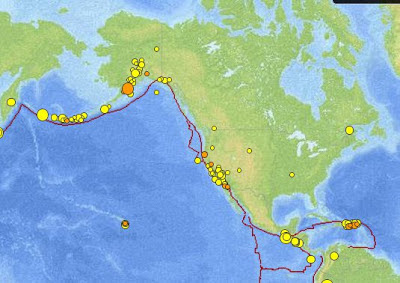 I fully expect some bigger quakes before they shut down. 2 more little earthquakes. This is soooo injection! As usual there aren't any maps, so we'll have to wait for a report from the scene. I don't know how quick they'll be to turn off the juice, so maybe we can get a 5? This is along a NE trend, so it is definitely on a mega-thrust. 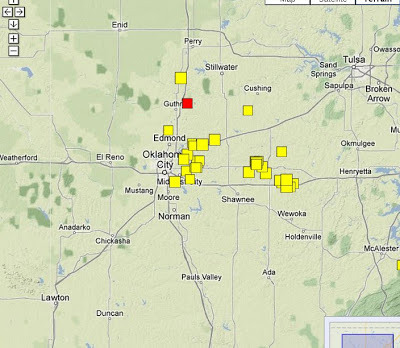 That whole area has been interesting since it has produced a lot of little earthquakes, and no big ones. 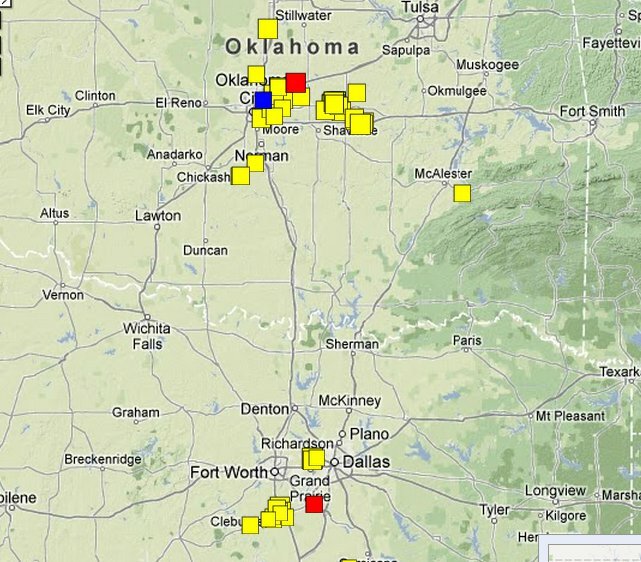 It probably doesn't have the water, but then again, why so many earthquakes? This is in the middle of nowhere, probably coal country, so perhaps they are trying injection for coal seam gas. 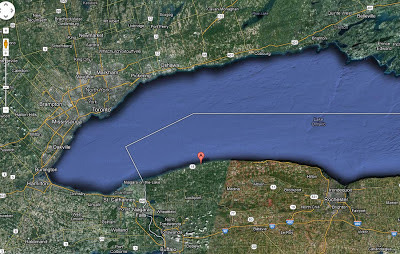 Update: This is near to a big purchase of wastewater injection wells, so I'm fairly confident that this is injection. That's unusual, since most injection into the mega-thrusts has stopped. I'm indulging in pure wild speculation here, which I can do, since nobody listens to me. All the other people have to keep their mouths shut. This seismic cluster started as a very small spot above the Virgin Islands. It has always produced M3's. As such I have said that it was interesting, but meant nothing. Now it spreads, and I no longer believe it is caused by fluid movement. It is a real 'slow' earthquake, or stress adjustment. Most likely it still means nothing, but I can go wild here. 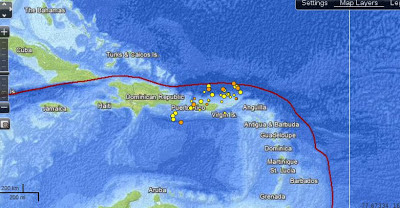 As we know the strike-slip fault under Haiti activates the upper fault, and moves on to Jamaica. (a historical trend of one!). This has led me to dream that the whole upper fault 'marches' like other such faults, in that a big earthquake on one section eventually causes the next to fail (Right Istanbul?). 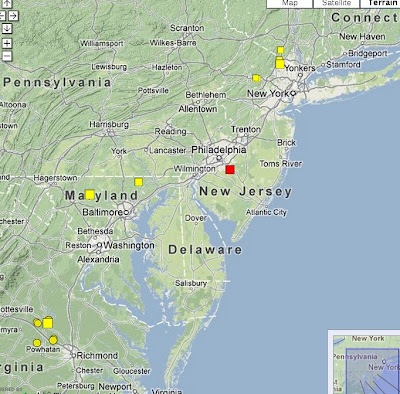 This cluster has spread from the upper fault (strike-slip or subduction, who knows? ), and goes right up to the lower one. 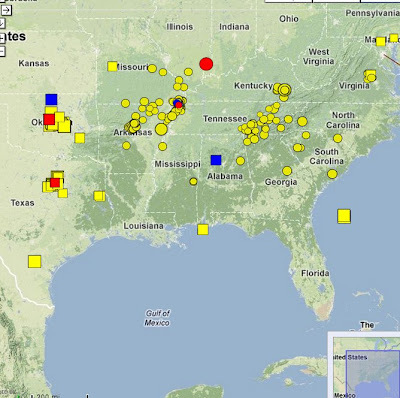 The only thing missing is that the size of the earthquakes should be increasing, which they aren't. If that happens, then we can expect a major earthquake. If the whole thing just dies down, then it's back to sleep for everyone! This won't go far, but it's nice to see. 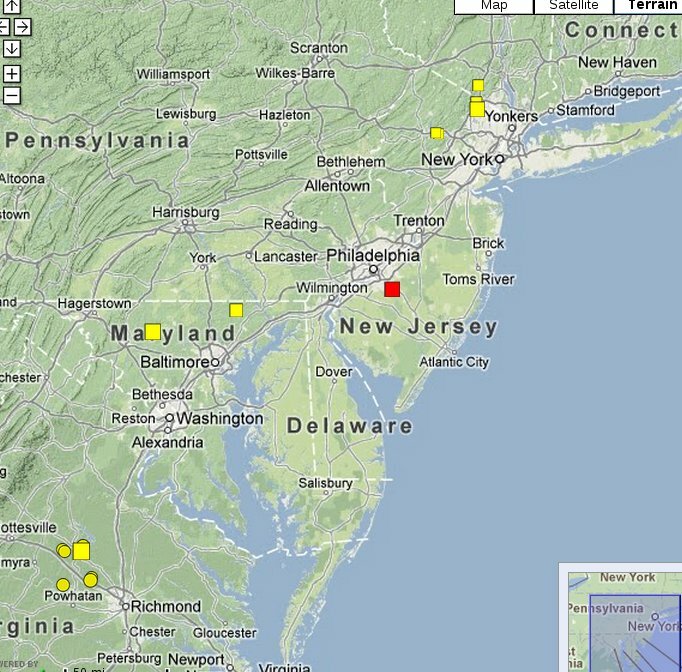 When the plants were being built, there was a big burst of seismic and geologic studies for the East. Then, they got in some weird studies which led them to believe they were totally immune to earthquakes, and not a penny was spent on seismic monitoring and such. 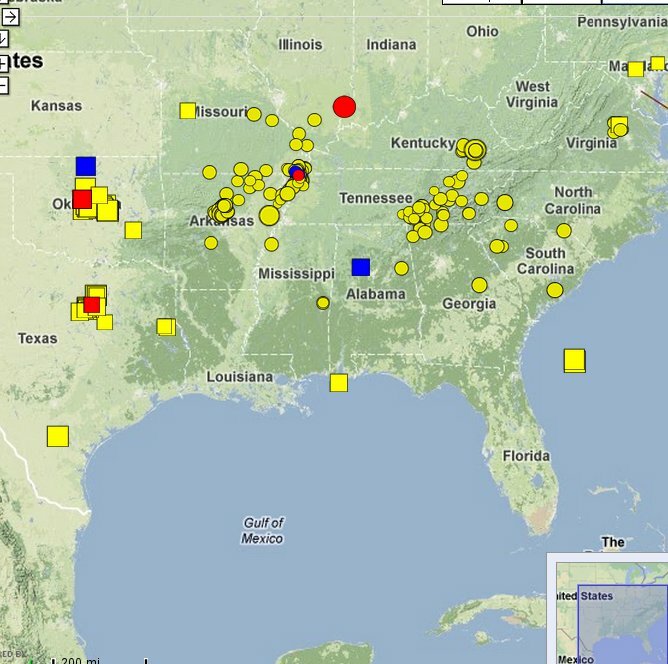 Without nuclear money, the seismic monitoring is pathetic in the States. There has never been a seismic reflection study showing the Precambrian megathrusts. So sad. You see that beautiful straight line up by the island? That's what ripped for the last earthquake. Probably the largest that section can hold, thus it reinforced the topography. That's a general rule for everything, the largest earthquake is the one doing the landscaping, all the small earthquakes build up to that. 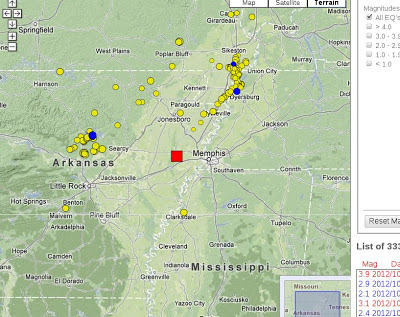 That straight line points directly at this earthquake, which is in a dog's breakfast of old spreading ridges. You'll notice that the subduction zone under Vancouver is very curved and ill-defined, not at all like Japan or Guatemala. Thus, I always have my doubts that we'll see a big one rip, perhaps a bunch of smaller M8s? 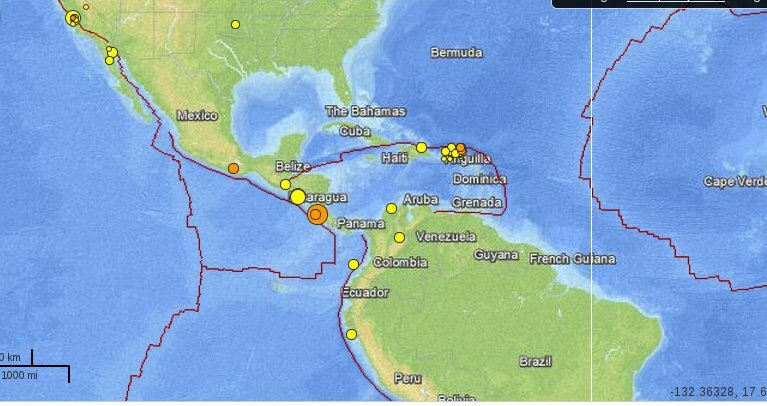 The ocean crust here is younger and quite strong, as seen by the large number of aftershocks in the crust from that last one. Thus I have no doubt that a stress field could reach the site of this earthquake. Anyway, this size is small beans to the region, and probably means nothing. After years of suffering greatly, the open Nouveau driver is now as good on my machine as the old Nvidia blob driver. The main reason that nv earned the legendary finger from the Big Guy, is that they are real bitchy about opening their specs and such. They have had this horrible binary for years, which kills you every time you put in a new kernel. Now with the latest Debian Sid, and 3.6.6, I can finally play my Foobillard smoothly. (Geforce GT 520). Of course, they claim to have upped their game with another binary. Look for years for an open driver to catch up with their latest products. 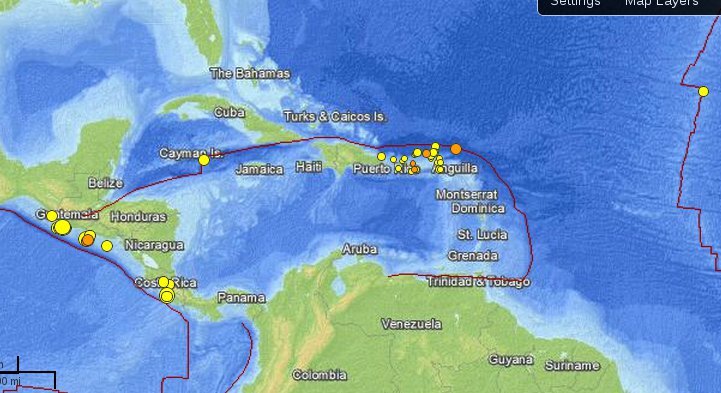 I am absolutely fascinated by what is happening on that upper border of the Caribbean Plate. 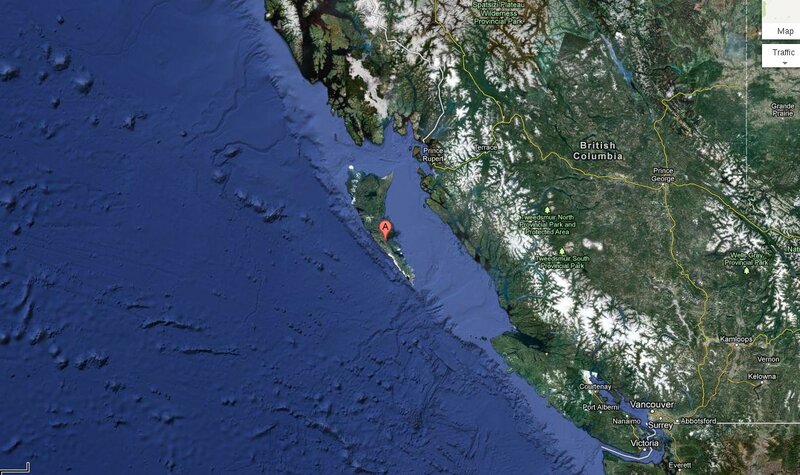 This earthquake looks far out, and probably didn't do much. 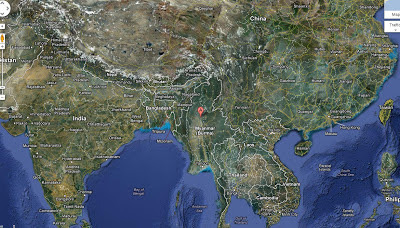 In that area, triggered landslides are the big threat. They've had lots of earthquakes to knock down weak housing. 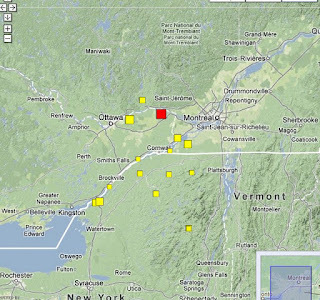 The clean topography shows that M9's regularly rip through the area. I have no idea on the mechanism that pushes the Caribbean Plate. 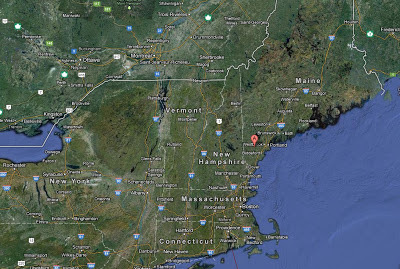 Would an M9 in this region provide that push? It is very weird. What not to say post-Italy - There is no concern whatsoever! Continue to dance on your crumbling bridges, sleep in brick houses on swamps. Now, we all know if they say that, there is going to be a big earthquake tomorrow where lots of people get killed. 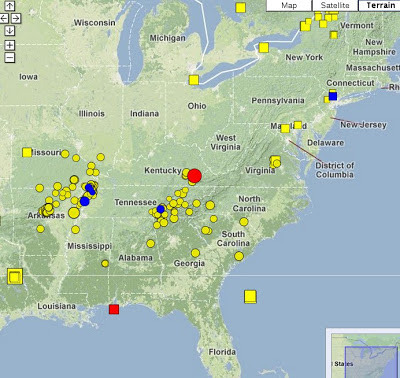 The Proper Answer - There is always a concern for a large earthquake under most cities. 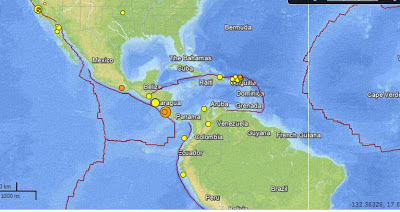 The chance is somewhat remote, and these small earthquakes don't change it a bit. The ability to 'take a hit' depends on the general seismic capacity of the city, which can be improved by long-term planning. The most likely answer, post-Harperization: I can't say anything. It's a most horrible curse in Canada, that sometimes you have to interact with the local phone monopoly. Everything in Canada is a monopoly! (or cartel, if you want to get fussy). So, I wanted my cottage phone suspended for the winter, and I was prepared for my usual hour-long wait on the phone. But wait! There was this 'live chat' thing. So I did it. I was connected quite quickly, but they must be using an MS system with dial-up. Sooo Slow! The wait times were so long that I finally disconnected when I got the order confirmation number. Can't they say good-bye? Highly not recommended. At least when you phone you get a nice person from the Philippines. I used to digest BSSA articles, but I can't afford it any more. :( Anyway, the triggering of landslides is 100% correlated with PGV (peak ground velocity), since that is directly related to induced shear strain. In a happy world, this would put an end to PGA, blah. 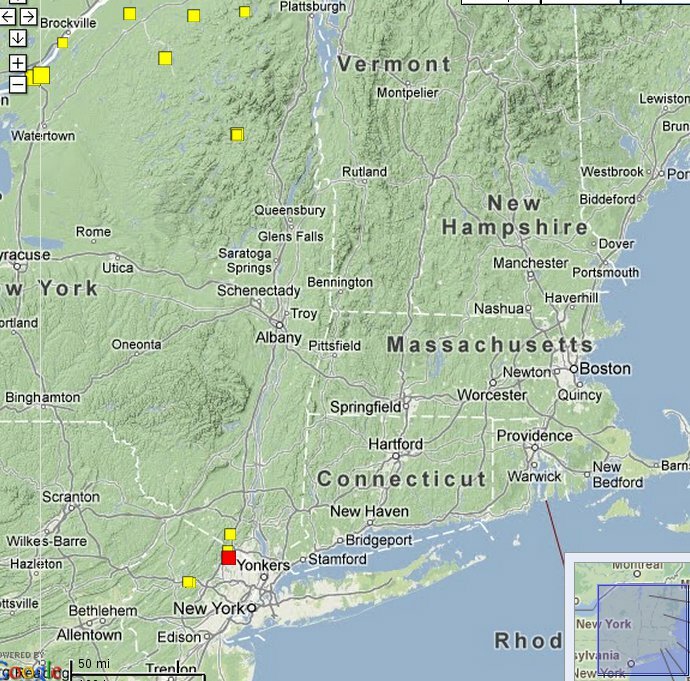 Had this earthquake happened under Montreal, Boston, or New York, we wouldn't have even looked at Sandy. Luckily it was in the middle of nowhere, and we don't have to learn a thing, as Homer would say. As to whether it was unusual in the historic sense, I doubt it. It was just in a place where you could get a lot of rock falls. In other places, the 'power' or PGV is measured by looking at liquefaction. For an M6 you would get rock falls, for an M7 you would get soft soil deformation. New Madrid and Charleston are in that class. Update: Now they are finally getting the idea there is soil amplification. So, this is a brand new M3.7 (4.2 with HST). 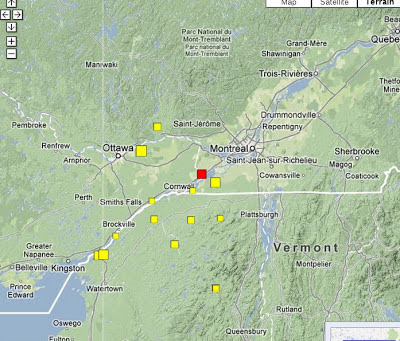 As we know, Montreal is just one city in the East, living with the 1in500 earthquake hanging over its head. If a Virginia M6 happened here, I think we would hear most about Leda Clay landslides. A lot of Montreal is on hard rock or clay, but the infrastructure is terrible. Thus I rate its seismic capacity as very low. An earthquake during winter would be too terrible to contemplate. Field geology is dead! Who needs to look for evidence of this flood water? It can all be done by computer. So, la, la, I installed a new Linux kernel the Debian way. Everything wonderful until I rebooted. Quel Horreur! I get the horrible 'grub rescue' prompt. Believe me, after several hours, there is no way out of this hell. Then, lucky me, my other Linux computers helped me make a Debian rescue live dvd (my computer refused to take a rescue usb). I used the 'rescue text', and just followed the results to reinstall grub. Now it works perfectly. A small M2 at the bottom of the great failed rift. Looks like there has been some activity there recently. The earthquake gremlins just want to let people know they can do some damage too! Came to my door today. Seemed offended when I slammed the door in their face. 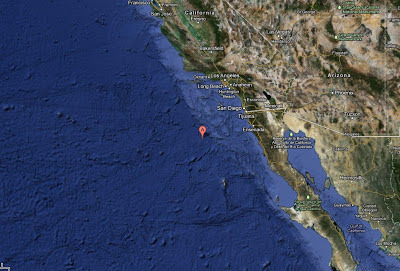 Why are we going to be so screwed if there is a major earthquake? It's because of Total Localism, which is my term for handling everything within the actual earthquake zone. 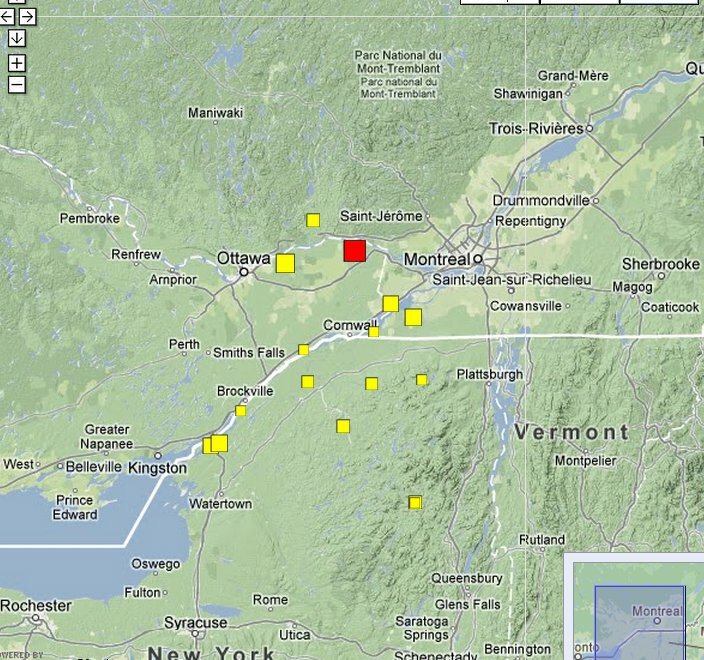 The sad news is that every time we have an earthquake under Ottawa, the GSC is buzzed out of their mind. They have centralized everything and are overwhelmed. The same goes for the BC wing. Our local emergency response team in Toronto is not in a good location for earthquake, and will be wiped out (in effectiveness), should we have our 1 in 500 earthquake. BC is the same. We will all have to rely on the US for information! Really, we live in a modern world. 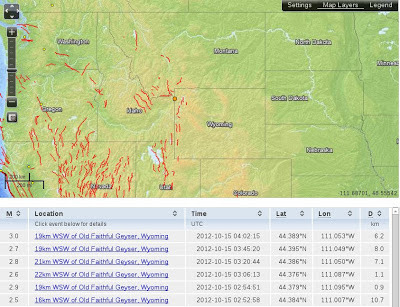 Information response teams, such as seismic assessment should be outside the immediate zone. A small start would be to have the BC team do the East, and the Ottawa team do the West. Why not?